The minimum order is 25 Cardboard Tuck Boxes with an order for Custom Playing Cards. Volume discounts are available. These stylish yet economical Custom Playing Card Tins feature your full color design printed directly onto the tin lids (we do not use applied labels). Each tin holds one or two bridge or poker size card decks. 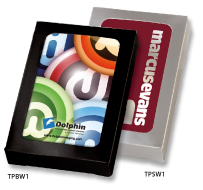 Imprint Area: 2-1/16" x 2-5/16"
Imprint Area: 5-1/8" x 3-11/16"
The minimum order is 50 Tins with an order for Custom Playing Cards. The minimum typeface for text is 8pt. 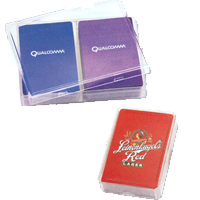 The minimum order is 100 Acrylic Plastic Playing Card Boxes with an order for Custom Playing Cards. Volume discounts are available. Please Note: Organza Bags will ship separately from your Custom Cards order and will not arrive pre-packed with your decks. 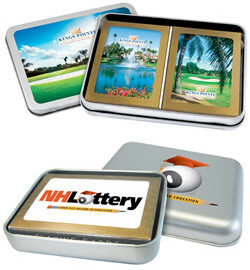 We offer metal lift-lid tins with clear tops for our Round Custom Playing Cards. The minimum order is 100 Tins with an order for Custom Playing Cards. 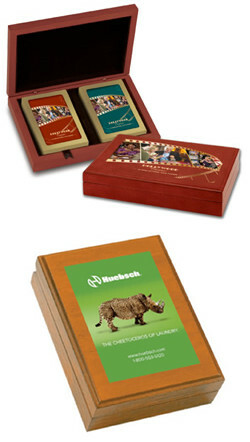 The minimum order is 50 Wooden Card Boxes with an order for Custom Playing Cards. Matte silver and polished accents grace this superbly crafted playing card case. This Silver gift box holds one or two poker or bridge size card decks and presents your custom card back design through the clear box top. 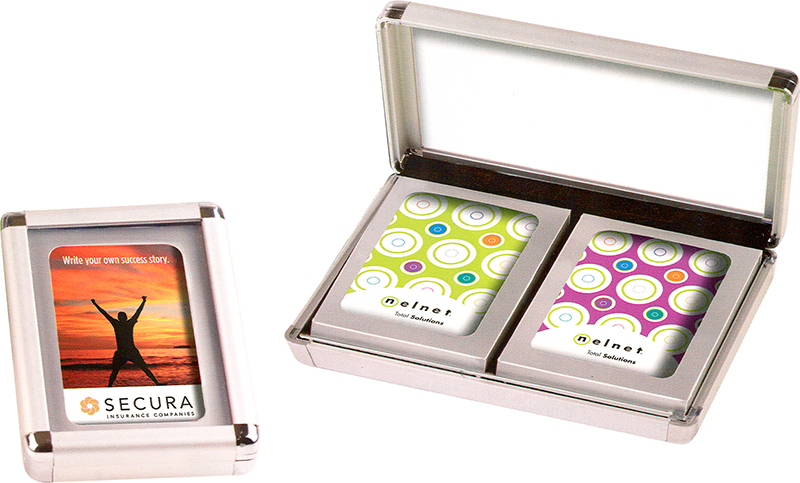 The minimum order is 50 Silver Gift Boxes with an order for Custom Playing Cards. Ready to go anywhere, these smooth black leatherette cases are handily supplied with both a scorepad and pencil - simply add your favorite Bridge deck. Case measures 3-5/8" x 4-3/8". 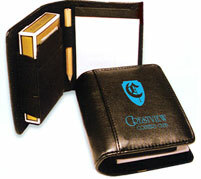 The minimum order is 50 Scorekeepers with an order for Custom Playing Cards. 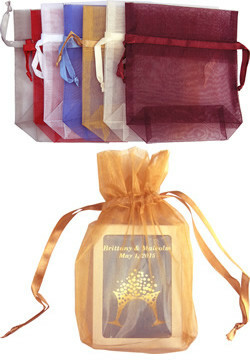 To place an order for Custom Playing Cards with Special Packaging Options please Contact Us Toll Free at 1-800-233-0828. Your satisfaction is guaranteed when you place your order so call today!